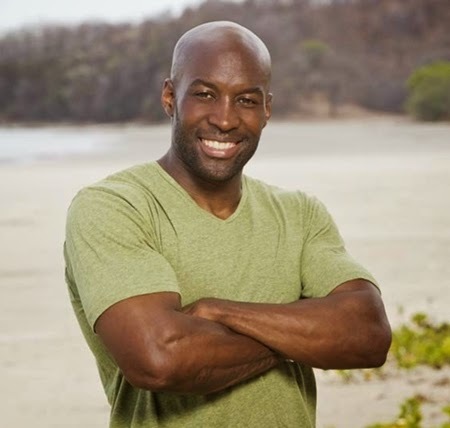 I'm starting to get giddy with excitement because a new season of Survivor starts in a little over a week! Survivor: San Juan Del Sur AKA Blood vs Water 2 begins on Wednesday, September 24th (before the Big Brother 16 finale) and it's gonna be a marathon for me. But I can't wait! As I mentioned, San Juan Del Sur is a second Blood vs. Water season, but this time with all new players so it should be interesting to see all fresh meat fighting for the title of sole Survivor. I'm sure you've eagerly been awaiting my pre-show winner prediction, despite my track record of zero victories. But damn I was close last time! Well I've read the bios, watched the videos, and even saw the TVGN preview special. I'm ready to make my prediction. First off, I'm in love with Val and Jeremy. Since they're kind of local to me, I hope I can meet them and they live up to my expectations. I was totally torn between which of the two to pick as my winner prediction because they're fans of the game and legit trained for this show (They practiced holding ropes which angled! Worked on getting adjusted to a minimal diet!) I decided to choose Jeremy over Val because she's got a huge obstacle to overcome being a woman over 30 on a tribe mostly full of young people that tend to stick together. However, I'm hoping, dying, for Val to last. Other pair I enjoyed: Wes and his dad Keith, who seem like they'll be good characters (and hopefully players as I could see Wes lasting a very long time). Having the Amazing Race Twinnies on annoys me, but I'm holding out hope that at a merge situation a person accidentally tells the wrong twin their secrets. And notorious baseball a-hole John Rocker? Ugh. No thanks. Ok guys, time for YOU to cast your vote for your pre-show winner prediction! Who do you think will be San Juan Del Sur's Sole Survivor? VOTE BELOW - voting closes right when the east coast premiere begins!